They began August 4, 2014 at 8.30 a.m. It was supposed to be a normal, pre-season, football game between the lower-league Portuguese team Freamunde and the Spanish team Ponferradina. The Spanish team was several hundred kilometers away and in an entirely different country from where they were supposed to be playing a game. Ghost-fixers had struck. Someone, somewhere had created a fictitious match on the gambling market. They had presumably made thousands of Euros betting on the ‘successful’ outcome of the game that they had made up. The Ponferradina-Freamunde match is an example of a new form of sports corruption. 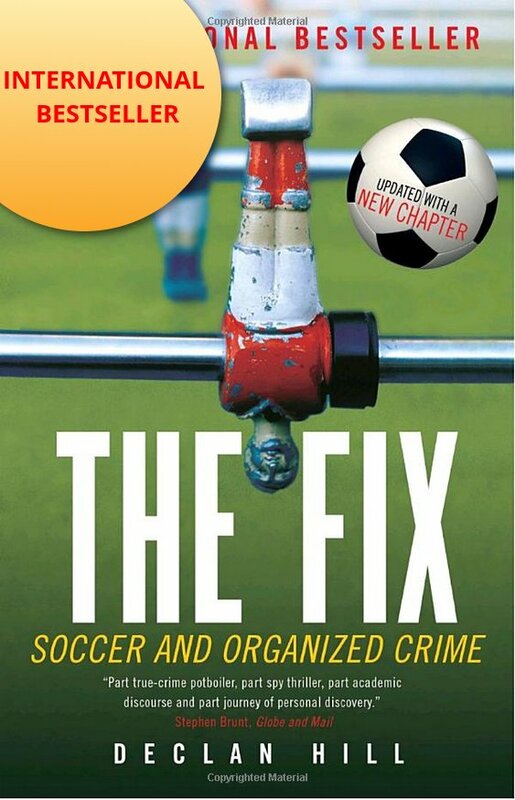 This fixing is at the intersection of two modern-day phenomena that are transforming sport. The first is the globalization of the sports gambling market that has meant tens-of-thousands of previously unavailable sports events are now being bet on. The second is the growth of data connected to sport. It is one of the fastest growing revenue-streams in sports. This exponential growth in the demand for sports data is partly because of the sports gambling market; but, in part, the demand has grown because of the Moneyball idea – where number-crunching coaches can improve their athletes’ performances by understanding statistics; and finally there are actually some sports leagues that are entirely constructed on data rather than sports. For example, the NFL-fantasy league in the United States, with a gross spending by fans of several billion dollars, is financially bigger than most real sports leagues. Ghost-fixing is when the fixers take advantage of these two new phenomena. The fixers do not fix the game; they fix the data about the game. It is brilliantly simple form of corruption. 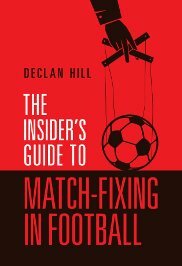 It avoids most of the problems of regular match-fixing: paying bribes, convincing players and team-owners, corrupting referees or just ensuring the performance of the fix. In ghost fixing, a fixer just fakes the data and the match is fixed. The foot soldiers of the sports data world are “match scouts”. They are hired by various sports data companies to go to the event and report in real time what is happening. But what happens when the fixers fix the scouts? The best way to ghost-fix a match is simple. Most match scouts are relatively badly-paid. So a ghost-fixer just bribes the scouts to delay their reports by a few seconds. Television watchers of a sports event are not seeing the game live. Most sports event – be it a World Cup match, Wimbledon tennis tournament or an Olympic badminton game – are delayed by the television broadcasters. The delay can vary from a few seconds to several minutes. For most fans, this delay does not particularly matter, for a gambler it is all-important. If you can get accurate, guaranteed information before the rest of the market you can place a certain bet. For example, if most fans think that Nadal will score the next point, but the gambler knows that Federer will take it, they can place a bet in the few seconds before that happens and thus make an enormous amount of money. In non-televised sports events, the ability to ghost fix is higher as quite often the only coverage of the game is from the match-scouts themselves. This is, allegedly, the reason why two Chinese match scouts were tortured to death in Newcastle, England in August 2008. The suspicion among the sports gambling community is that the two scouts were delaying their calls and allowing their accomplices to bet against their employers. However, these fixes are constrained because there is a limit to the money that can be made betting on individual events inside a particular game. In the more ambitious cases of ghost-fixing the fixers can get any result they want. In January 2014, Slovenian officials helped ghost-fix an entire skiing event for the benefit of the internationally renowned, violinist Vanessa Mae Vanakorn who has joint Thai and UK citizenships. According to the International Skiing Federation (FIS) the officials did this so that Vanakorn could qualify for the Sochi Olympics. First, the Slovenians organized the “Thailand National Ski Competition” at their Alpine Ski Club Triglav Kranj in Slovenia the day before the Olympic cut-off date. Not only is Slovenia over-eight thousand kilometers away from Thailand, but Vanessa-Mae Vanakorn was the only competitor from Thailand. Second, when the results were not good enough to get Vanakorn into the Olympics the officials helped fake the data coming out of the event. In fact, some of the Slovenian skiers were even told by the organizers to “ski slow”. When one young woman refused, they enlisted her mother to try and get her daughter to slow down. However, Vanakorn’s lawyers appealed to the Court of the Arbitration of Sports (CAS) in Lausanne. Long-distance – endurance – horse racing was originally inspired by the feats of the Russian and Polish cavalry in the First World War. The sport is now a matter of extraordinary prestige on the Arabian Peninsula. The races range from 50 to 160-km and the horses and riders can race for hours across a hot terrain. However, all those scandals pale in comparison with ghost-fixing – or ‘phantom riding’ – that erupted in the United Arab Emirates (UAE) earlier this year. According the UK-based journalist who broke this story – Pippa Cuckson – someone in that country did not just fix one event, they had created at least thirteen entirely fictitious horse races. A ghost-fixer, or fixers, had got on to the database of the Fédération Equestre Internationale (FEI) the organization that officially oversees horse events, and entered a long series of near-identical results for entirely bogus horse races in the UAE. The presumed motivation for this type of fixing is that before a horse can race in a longer endurance race, it must have experience in shorter distances. Thus someone, somewhere was fabricating these results to make it look as if some of the horses had a long-track record in endurance racing when that was not the case. This is a potential open-door for horse abuse. As a horse with no training or ability could be forced to race in a very long endurance event: a possible reason for the high death rate of horses in some of the endurance races. It also did not help that in some cases, the results of the fictitious races seem to have been copied exactly from races that had actually occurred. In March 2015, the FEI suspended the UAE while they launched an investigation. On September 1st, the FEI announced that hundreds of horses may be disqualified. On September 7th, the FEI actually suspended someone for the UAE phantom scandal. Ironically, it was a Norwegian vet – Dr. Hallvard Sommerseth – who works in the UAE and his crime was “allowing events to take place without accurate time systems”. Dr. Sommerseth has 30 days to appeal his indefinite suspension. The key question is who can stop ghost fixing? The challenge of this type of fixing is that the two groups who are supposed to protect the integrity of sports can actually contain people who may be corrupting the data. In ghost-fixing, the weakness of the sports gambling monitoring companies has been exposed. Their soft underbelly is their own relatively-badly paid scouts who, at times, may be persuaded to fake or delay the data coming from the games. The other group who could be susceptible to data-fixing are the very sports officials who are in charge of regulating sport. In both the Slovenian ski and UAE horse-racing cases, a potential whistle-blower would have had to report to their own officials who may have been the very people involved in the data-fixing. In all, it is difficult to think of a better reason for the need for an independent, international agency dedicated to fighting against sports corruption than – ghost-fixing. Potential whistle-blowers and independent fighters against any form of sports corruption need to have an agency that they can reliably trust to protect them. And the very data that sports produce needs to be guaranteed by an independent agency.